Fall is finally here and it’s time to start thinking about lawn-care preparation for the upcoming colder months. 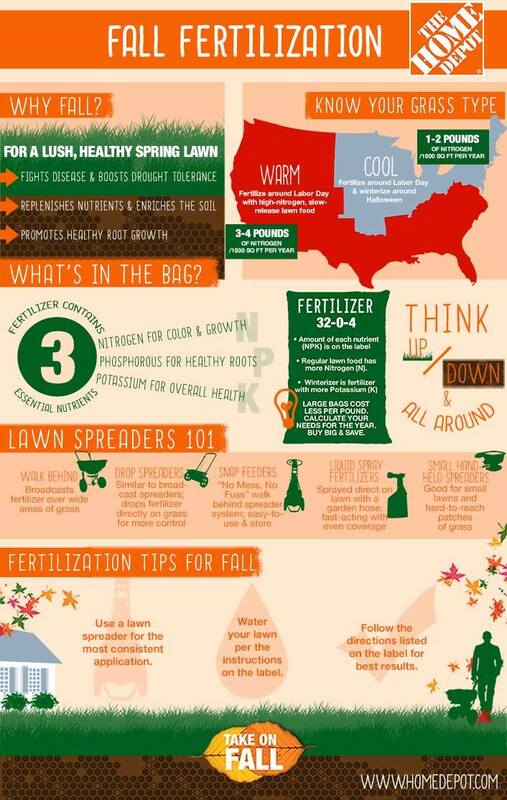 The following infographic from The Home Depot lays out why Fall is the perfect time for this and what you need to do. Remember, Spring is just around the corner (of course we have to get through Winter first)! Happy Friday! !